Contacts always be regarded as the most important data in the digital life, no matter you're using a iPhone Xs, iPhone Xs Max or iPhone XR. Apart from iTunes or iCloud, lots of iPhone users may also want to find a good way to backup only iPhone XS/X Plus/9 contacts to other security places like desktop computer. Therefore, this article will show you the simplest way to transfer contacts from iPhone Xs, iPhone Xs Max and iPhone XR to computer. 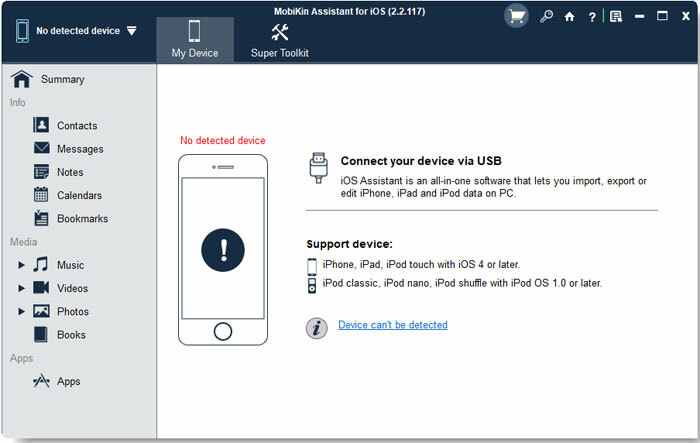 Assistant for iOS is a reliable yet prominent iPhone Manager on the market. It allows users to transfer almost all data from iPhone to computer without restrictions, including contacts, text messages, notes, safari bookmarks, calendars, music, photos, videos, apps, etc. And it also enables users to import data like contacts, bookmarks, etc. from PC to iPhone Xs, iPhone Xs Max, iPhone XR or other models with few clicks. Step 1. Download and install the iPhone Contacts Transfer program on your desktop computer, then launch it. Now, connect your iPhone X to computer with USB cable. Step 2. When the program detects your iPhone Xs/Xs Max/XR, you'll see an screen like below. 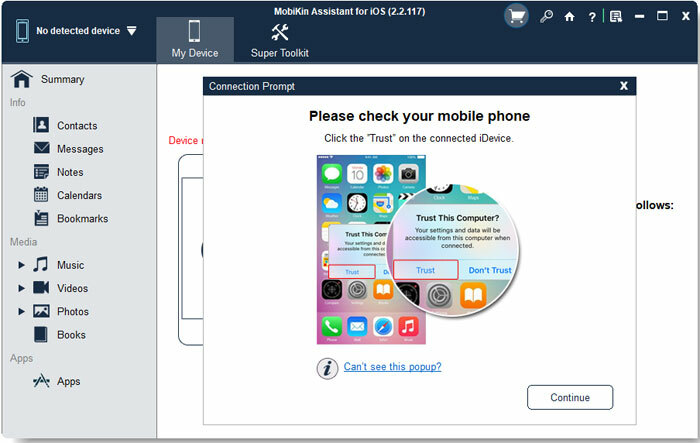 Here, you need to unlock your iPhone and click "Trust" button to authorize this computer. After that, click "Continue" button on the PC to finish the recognation of your iPhone XS, iPhone X Plus or iPhone 9. 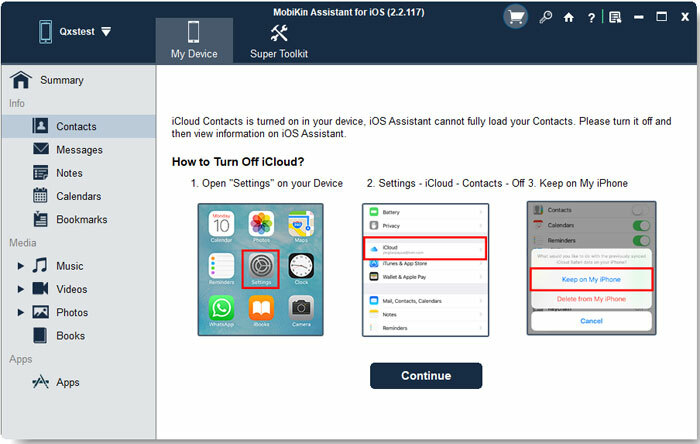 Notes: You need to turn off iCloud contacts before using this program, or you can follow the onscreen prompt to turn off it. Step 3. On the main screen, you can directly choose "Contacts" in the left panel, and preview all iPhone contacts info in the program directly. 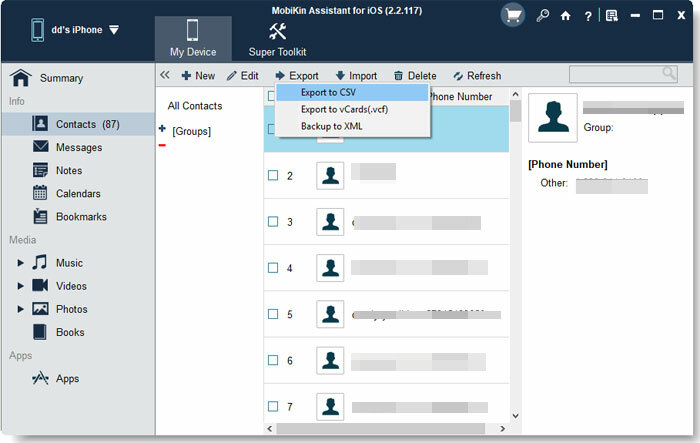 Tick the contacts you wish to backup and click "Export" button to choose an output format for your iPhone XS/X Plus/9 contacts.